to help Continue it's Success story. andheri (eAST), Mumbai - 400059, INDIA. 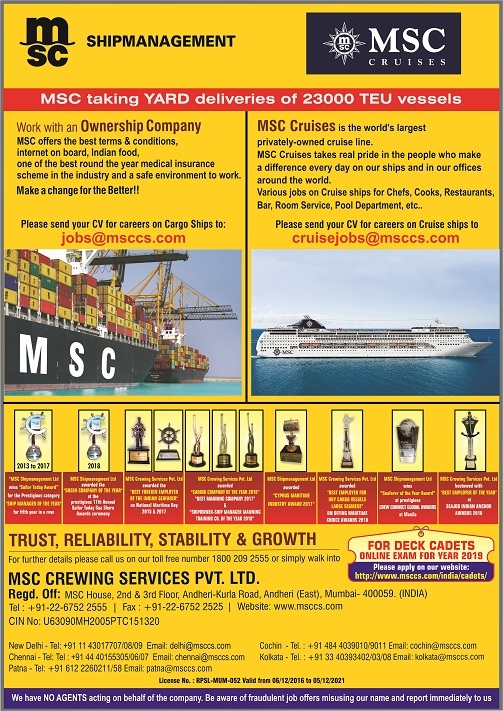 Email: jobs@msccs.com, Website : www.msccs.com.